Ms. Christine R Birnie, the Fulbright Scholar from St. John Fisher College in Rochester, New York, USA has joined SRM School of Pharmacy, Kattankulathur Campus during September 2013 and will be at SRM for the duration of four months. It is indeed an honor to have a Fulbright scholar at the campus. It is to be noted that Dr. Christine’s husband, Dr. George has volunteered to work as a visiting faculty with SRM School of Management. Dr. Christine Birnie appreciated the international perspective. She also congratulated the progress of School of Pharmacy since its inception. Dr. Christine added that her husband is originally from Tamil Nad and she loves Indian culture. I am happy to be a part of SRM Institute of Science and Technology (formerly known as SRM University) and I enjoy myself working with the School of Pharmacy. This is the first time, I get to stay for an extended period in India. I like Indian culture and the welcoming nature of South Indians. 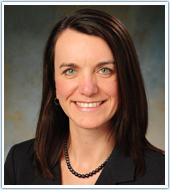 Dr. Christine Birnie is an associate professor and chair of pharmaceutical sciences at the Wegmans School of Pharmacy, St.John Fisher College in Rochester, New York. As a founding faculty member of the School, Dr. Birnie has been active in curricular development and course design for the PharmD program, particularly in the areas of pharmaceutics, pharmaceutical compounding and service learning. In addition to her administrative responsibilities as department chair, Dr. Birnie remains active in the classroom, team teaching pharmaceutics related courses and laboratories. She also developed a medical mission/service initiative at the School, overseeing international and domestic service projects. She annually offers a service-learning medical mission elective course and international clinical rotations. Dr. Birnie received her BS in pharmacy from the Philadelphia College of Pharmacy and Science and a PhD in pharmaceutics from the University of the Sciences in Philadelphia. Dr. Birnie is a registered pharmacist and has worked in both community and hospital pharmacy settings. Upon completion of her doctoral degree, she worked for several years as a senior research scientist and GMP operations manager for Merial, an animal health pharmaceutical company. She then joined the pharmacy faculty of the newly formed Palm Beach Atlantic University School of Pharmacy before moving to St. John Fisher College. As a trained pharmacist and pharmaceutical scientist, Dr. Birnie's research interests have included the development and formulation of semi-solid dosage forms and stability of compounded products. In more recent years, her research has focused on her efforts in global service projects and the scholarship of teaching and learning. Dr. Birnie's Fulbright project will focus on introducing students and faculty to active learning techniques that will facilitate learning, promote critical thinking, and enhance team-building and communication skills. Implemented through pharmaceutics courses and faculty development workshops, this innovative approach to teaching and learning will assist in the development of new instructional methodology in pharmacy education.